Bowing to unrelenting pressure from Conservation groups and the general public, the Alberta Government will allow the proposed new Alberta Parks Act, Bill 29, to ‘die on the order paper’. While killing Bill 29 is supposedly the result of some backroom political trade-off, someone in government obviously recognized the Bill’s shortcomings. Minister Cindy Ady said the province will re-introduce the legislation next year. Thanks to everyone who took the time to campaign against this poorly conceived piece of legislation. See Government of Alberta News Release. I know this was ages ago, but Iamwondering if Robin Campbell is still insterested in this bill? 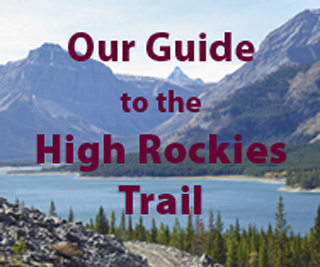 The Alberta Hiking Association has received a reply from Cindy Ady, Minister of Tourism, Parks and Recreation to a letter expressing concern about the proposes parks legislation. There does not appear to be any intention of canceling the proposed legislation, as so many concerned citizens have requested. Apparently we must continue to make the point that the changes are both dangerous and unnecessary. Thank you for your e-mail of November 8, 2010 that you sent to the Honourable Ed Stelmach, Premier, and for your letter of January 21, 2011 regarding Bill 29, the Alberta Parks Act. I am pleased to provide the following information. In developing Bill 29, and throughout debate on the legislation, Albertans have taken the time to write with their questions and comments. To achieve the goals and strategies in Alberta’s Plan for Parks, parks legislation needs to be modernized to address many complex issues around conservation and protection, and also to ensure that there is recreational access for Albertans to use their parks. I had planned to bring parks legislation back into the House this Spring, but believe it is important to take the time necessary to ensure that new legislation addresses all of the complex issues, concerns and suggestions raised by Albertans and stakeholder groups. We plan to consult on the changes proposed for parks legislation and regulations this summer, before bringing the legislation back into the Assembly as early as Fall 2011. I am committed to bringing forward new legislation that works in the best interest of all Albertans, and aligns with Alberta’s Plan for Parks, and the Land-use Framework. Thank you for taking the time to share your views on parks legislation and the Alberta parks system.